Wizards of the Coast recently released Waterdeep: Dragon Heist, which asks players to experience a heist, but if you want to play through lots of different heists and capers, you’re sort of out of luck. Here’s To Crime: A Guide to Capers and Heists is all about entertaining those who love crime. There’s not a whole lot to Here’s To Crime. It is five pages of basic ground rules for setting up a game where a party is doing some Ocean’s Eleven-style crimes within the broader rules of Dungeons & Dragons. You create a plan and choose between a hit job, a con job, or a heist, and then the DM kind of does improv from there within some guidelines to determine how everything plays out. This is, to my mind, one of the best styles of supplement that someone can make for Dungeons & Dragons because it is mostly about providing a reliable framework for Dungeon Masters to use in their games. This is the perfect sub-system to try out if you have a session where not all of your players can come, or if your giant, world-ending plotline is losing a little bit of luster. While it’s not in the supplement, I think there should definitely be a requirement for players to introduce their characters in zany scenarios like in an Ocean’s film. At $2, it’s a pretty easy thing to take a gamble on, and there’s definitely some great ideas in the supplement that any DM could build on or integrate in their campaign. For example, executing an actual caper requires electing a “face” for the party who then has to role for an initial approach to the target. 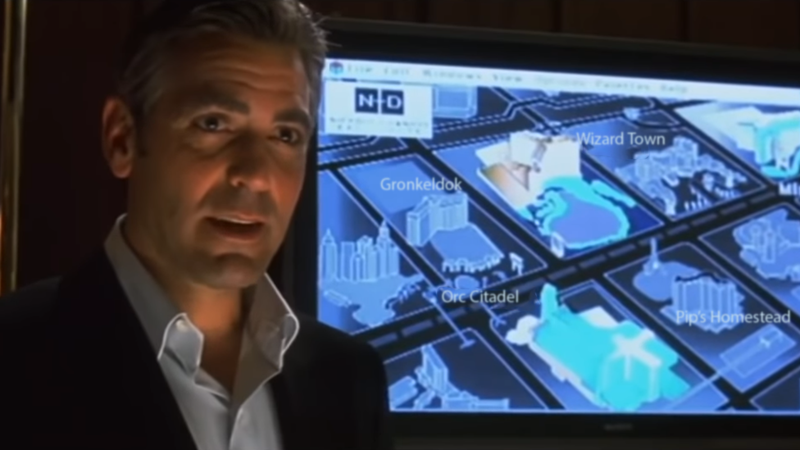 What if Danny Ocean accidentally let slip that he was intent on robbing the Bellagio immediately? With a bad enough roll, your orc barbarian can live through some kind of experience like that. I love rules that give a precise amount of controlled chaos, and Here’s To Crime seems to do that very well.